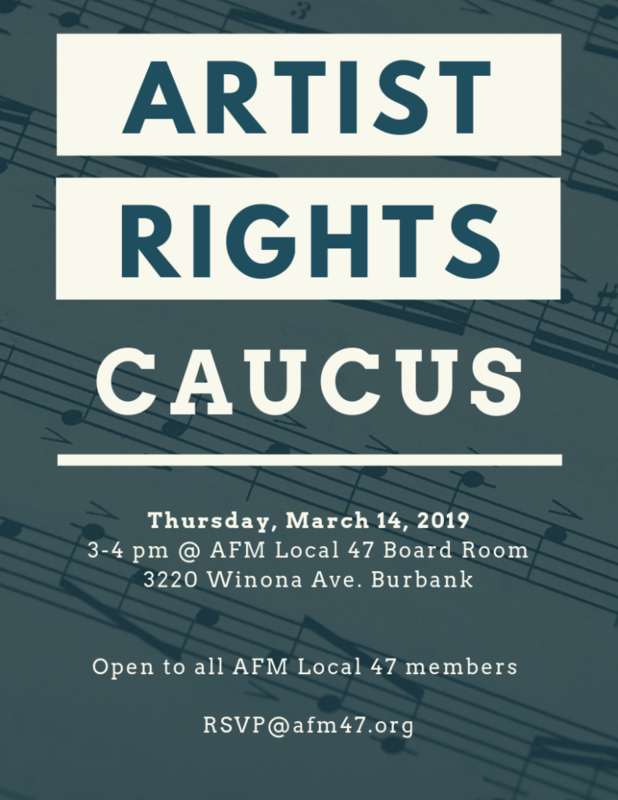 This entry was posted in All News, Events and tagged Artist Rights Caucus, events on March 8, 2019 by admin. 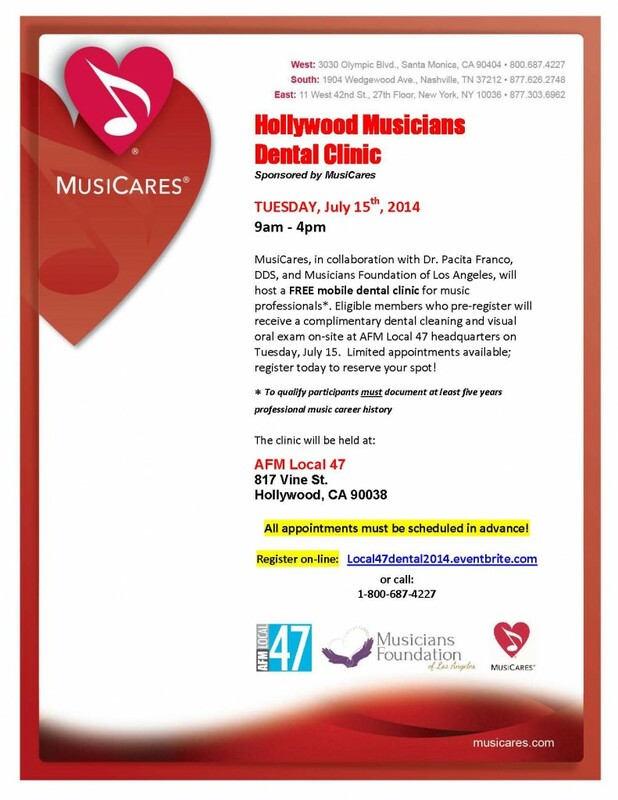 MusiCares, in collaboration with Dr. Pacita Franco, DDS, AFM Local 47 and Musicians Foundation of Los Angeles, will host a FREE mobile dental clinic for music professionals*. Eligible members who pre-register will receive a complimentary dental cleaning and visual oral exam on-site at AFM Local 47 headquarters on Tuesday, July 15. Limited appointments available; register today to reserve your spot! All appointments must be scheduled in advance! This entry was posted in Events and tagged dental clinic, events, free, MusiCares on June 13, 2014 by admin.